Send an email to subscribers who signed up through Lightbox, or have an Engagement score of 10, or an Engagement rating of 5 stars. Even target subscribers by when they signed up. We'll review how to segment your list by a specific WordFly Subscriber Profile data fields. Each subscriber profile has unique data that only WordFly provides and updates for the subscriber. Many of these data fields together make up Subscriber Engagement Rating. All of these data fields contain valuable data about subscribers that could really pay off when used in segmented campaign which we will cover here. WordFlyOrigin How subscriber was added to WordFly: WordFly Signup, WordFly Lightbox, or Import (list import). You can segment by WordFly's unique score for each subscriber using the data field EngagementScore. 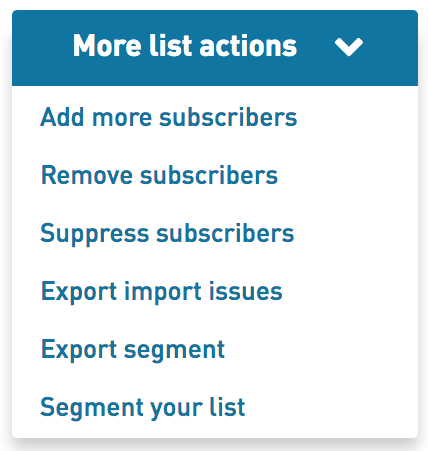 Note: You cannot segment by an engagement score of 0 since these subscribers have opted out of your list in some way. 4. Select Create a new segment. 5. Select Add profile data for your segment. Use the toggle to select the score for the condition. You can segment by WordFly's unique star rating for each subscriber using the data field EngagementRating. 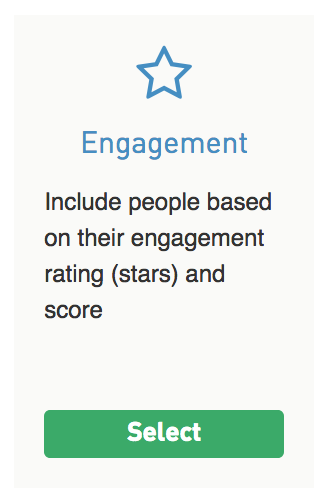 Engagement: Select the star rating you want to segment by. Send an email to all the subscribers that have signed via your WordFly Signup subscribe page or WordFly Lightbox or were imported from a list. The data field that corresponds to how the subscriber was added to WordFly is WordFlyOrigin. Send an email to all the subscribers that have been added to your account on a specific date or date range via WordFly Signup subscribe page, WordFly Lightbox or were imported from a list. 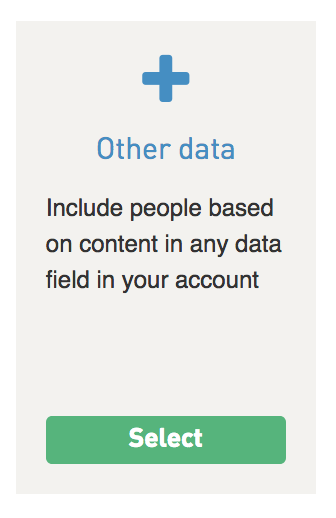 The data field that corresponds to when the subscriber was added to WordFly is WordFlySubscribeDate. This example is great for capturing all subscribers who subscribed during a window of time.